Drive, bus, walk or bike? Let’s talk about safety! MKL JR Elementary’s PTA in partnership with SUN, Safe Routes to School, and MLK Jr staff will be leading a discussion about concerns and difficulties getting to school. Join us for the discussion on January 24 at 3:20 PM. Meet in the office of MLK JR Elementary. 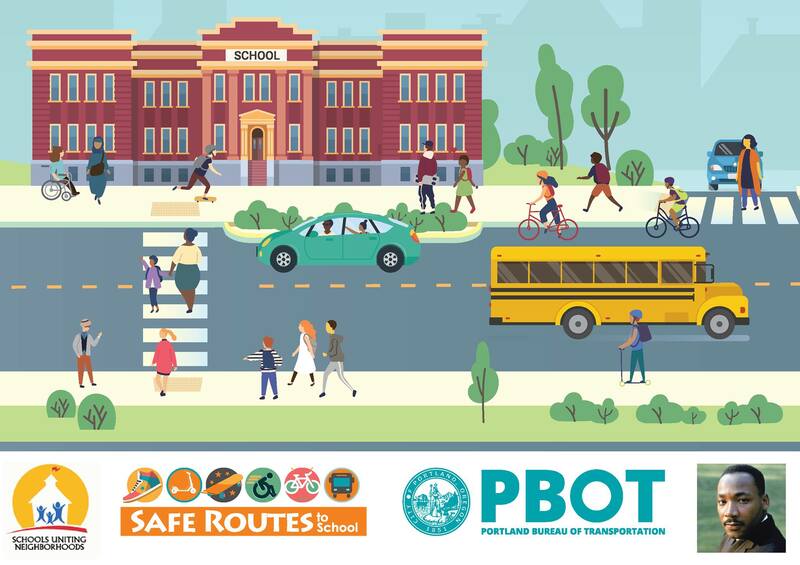 Portland’s Safe Routes program is a partnership between the City of Portland, schools, neighborhoods, community organizations and agencies and continues to increase safety and improve health for students and their families. Learn more about Safe Routes to School at https://www.portlandoregon.gov/transportation/68009.